Worried about the O-line? Remember 2013? The Seahawks are expecting to compete for a second Super Bowl title this year, and they’re planning to do it with a completely revamped offensive line. That scares a lot of fans who view the line as the one thing that could keep this team from winning it all — kind of like it did last year. But, anyone who thinks they can’t overcome that concern probably forgot what happened in 2013. Everyone remembers the Seahawks went 13-3 and dominated Denver in the Super Bowl that year. But a lot of people probably forgot the major attrition they had to overcome along the line: They played without their top tackles for seven weeks, using journeyman Paul McQuistan and rookie Michael Bowie to fill in next to neophyte guards James Carpenter and J.R Sweezy. It was a combination that — even with a mostly healthy Max Unger (he missed three games) at center — prevented the Seahawks from ever getting into much of an offensive rhythm. 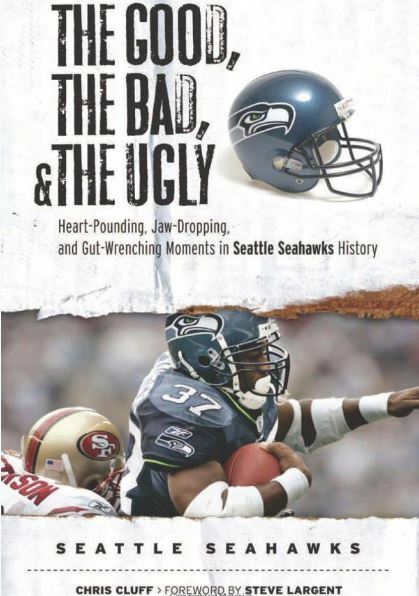 As always, the Hawks were able to run the ball — they ranked fourth in the league — but they gave up 44 sacks, converted just 37.3 percent of their third downs and led the league in penalties (a league-high 39 by the overmatched linemen). That’s a lot of backward movement. The largely inexperienced and undermanned line hit its low point in a midseason Monday night game against the Rams, giving up seven sacks as the offense gained just 135 yards (80 on one touchdown play). Despite the poor play up front, the Seahawks jumped out to an 11-1 record in 2013. Russell Wilson threw 22 touchdown passes and just six interceptions in those 12 games, and Marshawn Lynch rushed for 871 yards in the first 10 games. The running game took a big hit once Russell Okung and Breno Giacomini returned; Lynch was held to 386 yards in the final six games, and the Seahawks were manhandled by the tough defenses of the 49ers, Giants, Cardinals and Rams in the final month (Wilson was sacked 14 times in those four games). The Seahawks went 2-2 through that buzz saw, barely claiming the NFC West from the 49ers thanks to a Week 17 win over the Rams. 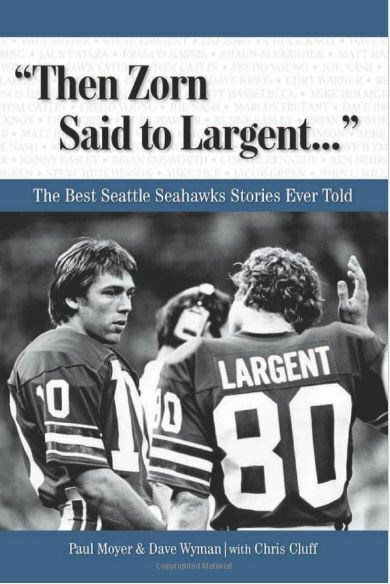 There was a silver lining to that ringer, though: It prepared them for the postseason, where they slipped by New Orleans and San Francisco before stunningly destroying Denver to claim the first Lombardi Trophy in Seattle history. The Hawks had different problems up front last season — going with the wrong center for way too long and getting beat inside too much. They fixed the center issue by replacing Drew Nowak with Patrick Lewis and fixed the other shortcomings by getting Wilson to throw the ball more quickly (something they should have been coaching him to do long before). It ultimately resulted in the best offensive season in team history, but the line still fell short against a superior Carolina defensive line in the playoffs. In an effort to better match up with the Panthers and Rams, whose D-tackles dominated in four wins over the Hawks last season, the Hawks are going big this year. They are going to start with (left to right) Garry Gilliam, Mark Glowinski, Justin Britt, Germain Ifedi and J’Marcus Webb — 1,600 pounds of linemen. Of course, there’s no guarantee that’s how they will finish. In fact, if history holds, the Seahawks will use about six starting combinations this year. But, if 2016 is anything like 2013, it won’t matter. Take a look at their line situation as camp begins. 2016 is also the most favorable schedule that Seattle has had since 2013. Although that season gets left off of analyses of slow starts, the fact is that the ‘Hawks ran up a 11-1 start with wins over some truly bad teams and didn’t always play that well while doing it. We can expect / hope for more of the same this year: The OL is not going to break camp playing like the Hogs. 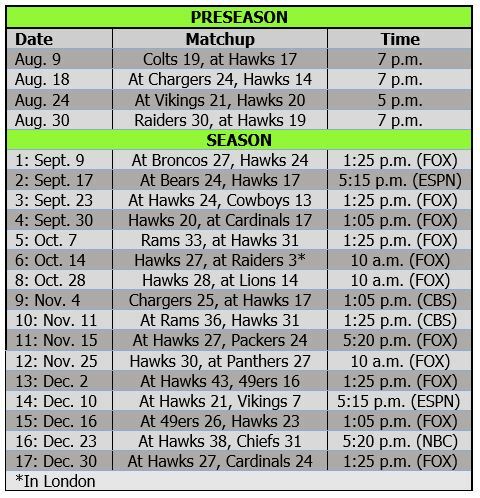 But they open with three of their first five games at home, and all look winnable even with a problematic OL. We won’t really know what they have until the back end of the season. At least this year there seems to be a plan (have RW line up behind the Berlin Wall) as opposed to last year (plugging holes in a broken levee). You nailed it. I was going to mention the easier sked and forgot. Good call!